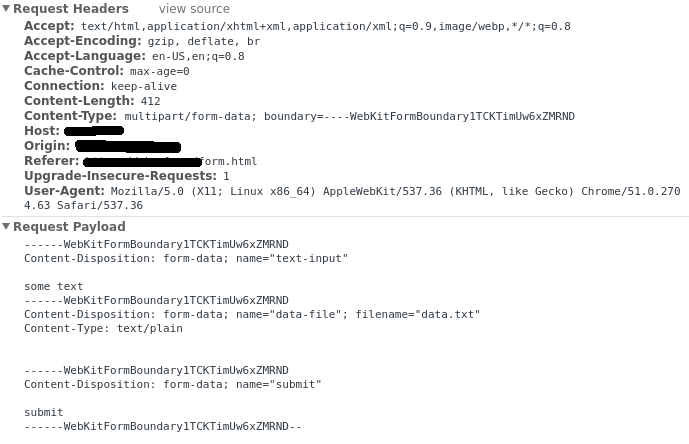 The most important parts here are the Content-Type header and the payload itself. 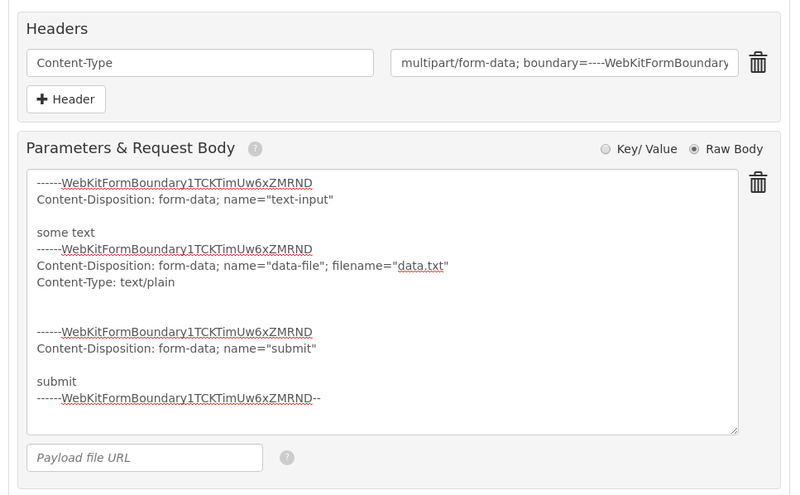 Each input field in the form has a separate part in the request, separated from the others by the boundary defined in the Content-Type header. Building a request like this from scratch can be a little tedious, but luckily we can copy and paste from the dev tools right into loader, and most of the work is done for us by Chrome; the only part the dev tools do not show is the actual file content, so we will need to add that once the overall structure of the request payload is in place. Note the additional `Content-Encoding` header.